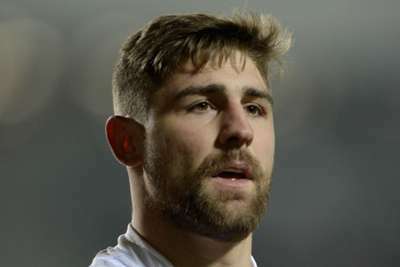 Tommy Makinson is one of three uncapped players, alongside St Helens team-mate Luke Thompson and Jake Connor, named in England's squad to face New Zealand. Saints winger Makinson has put in a series of fine performances for the Super League leaders and has six tries and seven assists to his name. Prop forward Thompson also earns a call after impressing for high-flying Saints, with only Leeds Rhinos' Ryan Hall having gained more metres this term. Connor has been a star turn for Hull FC and makes the step up into the full selection having been called into the England Knights Performance Squad in March. George Burgess is recalled to the 19-man party for the mid-season Test, which will be played in Denver, Colorado, on June 23, meaning he joins brothers Sam and Thomas in the squad. Head coach Wayne Bennett said: "We have been impressed with all the players this season and the three uncapped players deserve their call ups after showing their talent and determination both on and off the field. "We have always been clear that the door to the senior squad is open to any player showing the form to be selected. The squad has a real mix of experience and youth and that will prove important during our time in Denver."